KSQL can start in local(standalone mode) using CLI, and it also can start the server-client mode shown as below. This article just shows the exact commands on MapR 6.1 platform. 1. 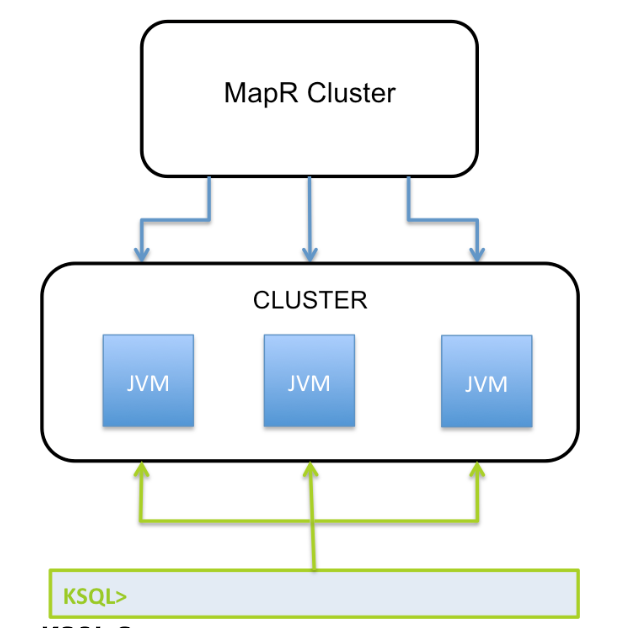 Install KSQL from MEP 6.0 package on all 4 nodes. "ksql.service.id" should be set to the same value so that all 4 KSQL servers are in the same application. Note: This is not running in background by default. Use "nohup" if you want to run KSQL servers in background. 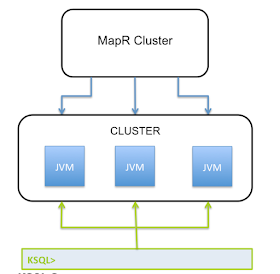 Then you may want to run through the test case mentioned in How to use ksql on MapR Streams(MapR-ES).